What is a civil lawsuit, and how does such a lawsuit proceed through the legal system? This is a general overview about civil lawsuits. It covers the main steps along the way, and the most important terms to know. As always, the caveat is that this sheet is not a substitute for an attorney. The Basics: There are two types of lawsuits: civil and criminal. When someone is charged with a crime and then prosecuted by the government, this is a criminal lawsuit. Other types of suits are civil lawsuits. This is an expansive category that includes everything from suits for things like breach of contract or personal injury, divorce proceedings, cases involving child custody, as well as lawsuits against government officials and agencies. Just about any time an individual is bringing a case involving animals — as opposed to the government bringing an animal-related suit, such as when someone is charged with animal cruelty — it’s a civil suit. Pleadings/Filing The Complaint: Filing the “complaint” is what begins a lawsuit. The complaint is the initial document filed with the court, outlining the basis of the lawsuit and the “relief” the plaintiff would like granted — in other words, how much money she believes the defendant owes her for the harm caused, or any other non-monetary “equitable remedy” the plaintiff is seeking, such as an animal being transferred to a sanctuary. “Pleadings” are the complaint plus certain other documents filed by both the plaintiff and the defendant, relating to the case. This will include the “answer,” which is the defendant’s response to the complaint, laying out the reasons why the suit should not prevail. Scheduling Order: Early on in the process, generally after the defendant files an answer, a judge will issue a “scheduling order” laying out deadlines and important dates relating to the case. The scheduling order will say when briefs and other documents must be filed, and will also set a date for the trial. The judge may also set out a schedule for “discovery” in the scheduling order. Discovery will be explained below. Preliminary Injunction: A “preliminary injunction” is an order granted by a judge prior to the final resolution of the case, that requires a party to do or not to do something. A preliminary injunction is a temporary measure that may be granted if the plaintiff can prove that “irreparable harm” will occur without it. In animal protection cases, preliminary injunctions may be granted if an animal will be seriously harmed or killed prior to the case being complete. 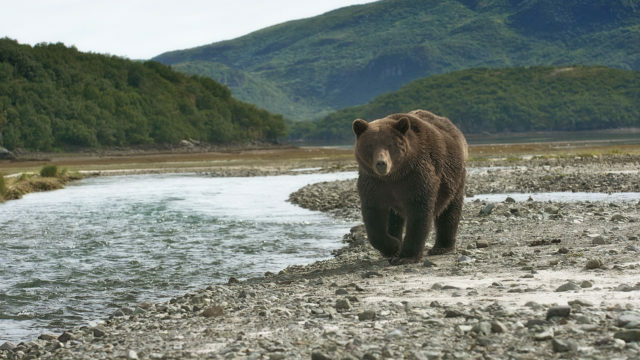 For example, this may include cases in which a state’s fish and wildlife agency is being sued to stop a planned hunt, and the hunt will occur before the case’s finish. Another example might be if a person is being sued over their mistreatment of an animal, and the animal in question is so sick or injured she could die before the trial is through. Motion to Dismiss: A “motion to dismiss” is a motion filed by the defendant, asking for the suit to be dismissed because of a defect in the complaint. Typically, a defendant files a motion to dismiss early in a lawsuit. The motion will allege some reason that the plaintiff’s case can not or must not be allowed to proceed. These reasons vary. Two common ones would be “lack of jurisdiction,” meaning that this particular court cannot hear this particular case, and “failure to state a cause of action,” which means that even if every fact the plaintiff alleges is true, the plaintiff hasn’t shown the defendant to have done anything legally wrong. Motion for Summary Judgment: A “motion for summary judgment” can be filed by either the plaintiff or the defendant. The party filing this motion must show that there is no dispute between the parties about any material fact, and that the movant — the party asking for summary judgment — is entitled to win as a matter of law. Here’s an example: Let’s say Joe Blow keeps a tiger in a cage at his dance studio in North Carolina. The tiger is starving, and lives in a dirty concrete block. 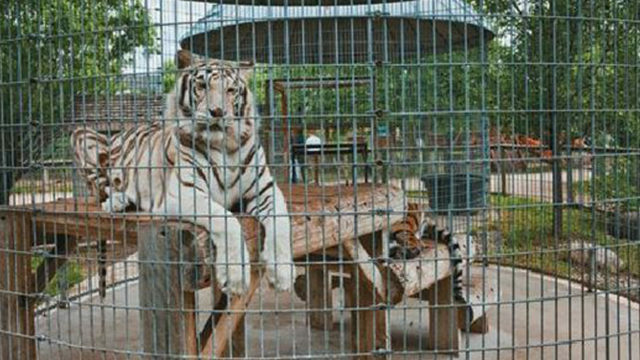 An individual files a private suit under the Endangered Species Act to have the tiger moved to a sanctuary. Joe Blow does not deny keeping the tiger, or the details of the tiger’s poor treatment. A motion for summary judgment may be appropriate in this case, since the material facts are not in dispute and the judge need only determine whether these undisputed facts constitute a violation of the Endangered Species Act as a matter of law. Mediation: “Mediation” is a process during which the parties to a dispute will try to negotiate a settlement or resolution, with the help of a trained, neutral third party. Sometimes parties will voluntarily enter into mediation as an alternative to going into court. Other times a judge will order parties into mediation. Mediation has long been used to determine custody of companion animals when a couple is divorcing, and may be used in many other types of other animal-related cases as well. Hearings: In a civil case, a “hearing” is any proceeding before a judge in court. There may be multiple hearings before the trial itself takes place. These can include scheduling hearings, hearings on motions, hearings regarding discovery, hearings relating to evidence, or any number of other things. Discovery: “Discovery” is the exchange of relevant information, documents, and evidence between parties, prior to trial. Depending on which court is hearing your case, this process will be governed by the state or federal rules of civil procedure. Discovery can be contentious, when, for example, one party seeks documents or information the other doesn’t want to provide. The judge may be called upon to resolve disputes relating to the discovery process. Depositions: “Depositions” are interviews taken under oath, in front of a court reporter. Generally, attorneys for the defense and the plaintiff are present for a deposition. Typically, witnesses for the opposite party are deposed. So the plaintiff in a case will depose witnesses for the defense. Part of the purpose of a deposition is to gather information relevant to the case. Another part is to get witnesses on the record, so that if they later change their testimony they can be “impeached” by pointing out the inconsistencies. Interrogatories: “Interrogatories” are lists of questions sent from one party to another. The questions must be answered truthfully and under oath. As with depositions, interrogatories are used in part to collect information, and in part to get testimony on the record. The parties will have a certain amount of time in which to answer the questions, dictated by the rules of civil procedure for the court hearing the case. Document Requests: During discovery, the parties may request documents relating to the case from each other. If someone is suing a veterinarian for malpractice, that person might request their animal’s complete veterinary records, and copies of any communication the veterinarian had with any other parties about the animal. The rules of civil procedure for the court in which the case is being heard will govern these requests—which documents can be requested, the form the request should take, how much time the other party has to produce the documents, and so on. Jury Selection: If the case will be tried before a jury, the parties will engage in “jury selection” before the trial itself begins. Some civil cases can be tried before a jury, not just a judge. This mostly applies in cases where money damages are at issue — say, for example, the plaintiff is asking to be awarded money in a veterinary malpractice suit. In cases where something other than money is at issue, a jury may not be appropriate or available — say, the plaintiff is suing an ex-spouse for custody of the family dog. The jury in a civil case will have between six and 12 jurors, with the number depending on which court the case is in and the type of case. Potential jurors — usually pulled from lists kept by stage agencies of registered voters or licensed drivers — will be called into the courtroom’s witness box. Attorneys for both sides will then have the chance for “voir dire,” which means asking each juror questions to determine if they could make an impartial decision in the case. Some potential jurors will be eliminated during voir dire. This process will end once the plaintiff’s and defendant’s attorneys are satisfied that they have empaneled an impartial jury, plus some alternate jurors. Trial: Following discovery, the parties and court prepare for “trial.” This is the part of the lawsuit that most people are familiar with, through popular culture. Here’s the gist: A trial is heard in a courtroom. Lawyers for both sides begin by making opening arguments in which they lay out the cases they intend to present. The plaintiff’s side then calls witnesses, who may be cross-examined by the defendant. Then the defendant’s witnesses are called, and may be cross-examined by the plaintiff. Once there are no more witnesses, both parties will give their closing arguments. Then a decision is rendered, either by the judge or the jury. Throughout the trial, the judge will be called on to make decisions and rulings on various issues — if a piece of evidence will be allowed into the record, for example, or if a question being asked of a witness is proper. During a trial, the judge’s job is to determine the applicable law and maintain order and civility, according to the various rules of conduct, procedure, and evidence. In a jury trial, the job of the jury is to determine the facts and apply the law as described by the judge to those facts. If there is no jury, the trial judge assumes all of those responsibilities. Be aware that most civil lawsuits in the U.S. do not get to trial. An overwhelming number settle either before trial or are dismissed by the court for lack of merit. Decision: Once the trial closes, the judge or jury will have some time to deliberate before rendering their “decision” or “verdict.” The judge or jury will say if they have found the defendant to be legally liable, and if so what the “remedy” will be — that is, how much money the defendant is obligated to give the plaintiff, and any non-monetary equitable relief. Appeal: Either party to a civil suit may “appeal” the judge or jury’s decision to a higher court, known generally as a court of appeals. This means asking the appellate court to find that the lower court made an error of law or procedure warranting the lower court’s decision to be reversed, or for the case to be “remanded” to the lower court for a new proceeding. Courts of appeals will examine the record of the lower court but do not hold new trials with witnesses and new evidence. In federal court, the losing party may appeal from the federal district court that heard their case to whichever of the 13 federal courts of appeals has jurisdiction. Federal appellate courts are called circuit courts and their jurisdiction is based on geography; for example, the Ninth Circuit handles appeals for much of the western United States. In the federal system, the only appellate court above the court of appeals is the U.S. Supreme Court. Appeals are typically heard by a panel of three judges. If the case is in state court, you will appeal to that state’s court of appeals. There is then another appellate court above that one, usually called the state supreme court — more colloquially known as the “court of last resort.” By and large, state supreme courts have “discretionary review,” meaning that they can take the case but are not obligated to do so. Petition For Rehearing En Banc: In federal court, a party that loses its appeal may petition for “rehearing en banc hearing.” An en banc hearing means that all (or many) of the appellate judges from that court will hear your case. Courts are not obligated to accept a petition for rehearing en banc, and by and large very few of the petitions are accepted. They are most likely to take up the petition if the case raises important issues of unsettled law or if there are contradictory interpretations of a law that should be resolved. Writ Of Certiorari To The Supreme Court: A “writ of certiorari to the Supreme Court” is a request that the United States Supreme Court consider a case. The U.S. Supreme Court has authority to take up appeals of lower court decisions, but is not obligated to hear those decisions. To ask the Supreme Court to hear a case, a party files a writ of certiorari, or a cert petition. The Supreme Court agrees to hear very few of these cases. Most of the cases the Supreme Court takes up involve important issues of federal law for which there is not settled law.